Help Eric Sinclair be crowned Man About Town while helping to support the Phoenix Foundation. 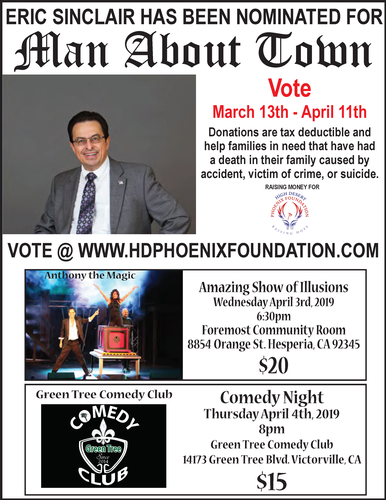 Donations are tax deductible and help families in need that have had a death in their family caused by accident, victim of crime, or suicide. This event features Anthony the Magic!